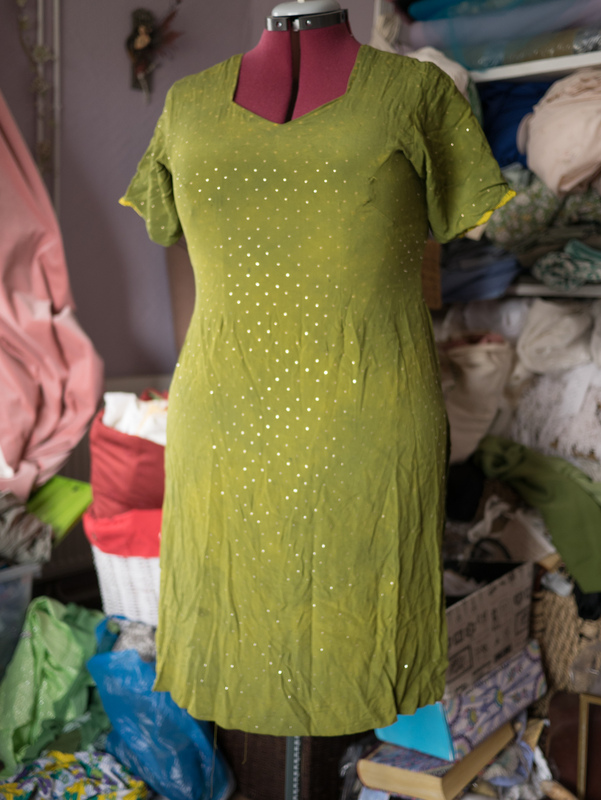 The green tunic I began with. The arm-pits are usually the first place to get damaged, but these were fine, so I could keep the sleeves. There were a few stains down the front that needed cutting out, so that’s what I began with. Close-up of the Mukesh work. skirt. I knew this fabric wouldn’t show at the end, so I could use up some patterned cotton that I probably wouldn’t use otherwise. Then I added the tattered details at the neckline and gave it a bit of a ruffle lifted collar at the sides and back. If you’re having a go at making a fairy dress like this, it’s a good idea to put in the details of the top half of the dress at this stage, because otherwise it gets too heavy and difficult to manoeuvre around the sewing machine once the skirt is done. 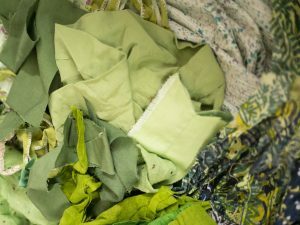 So then it’s time to build up the skirt with metres and metres of fabric, layering and gathering as I went until I was happy with the overall look. 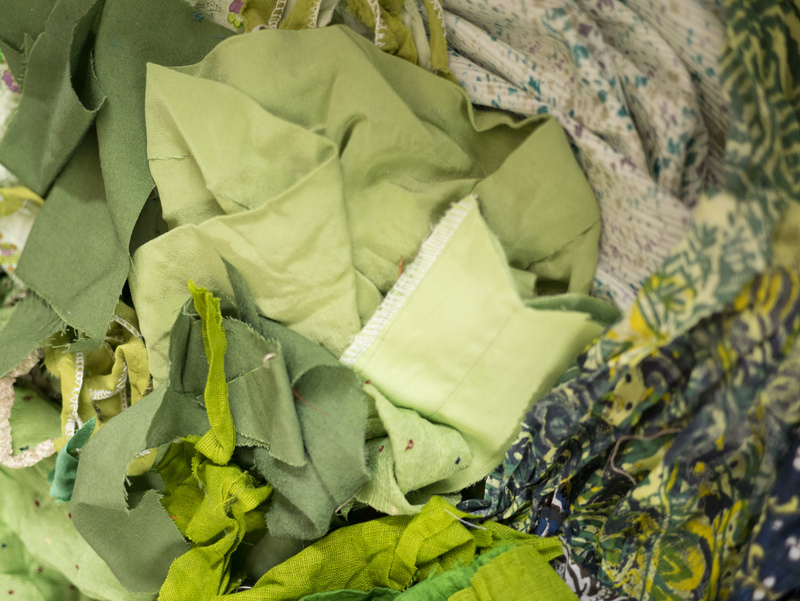 With this dress there is a mix of pure slub silk, smooth silk, net, cotton and Indian stamped and embroidered cotton in various shades of green, gold and brown. 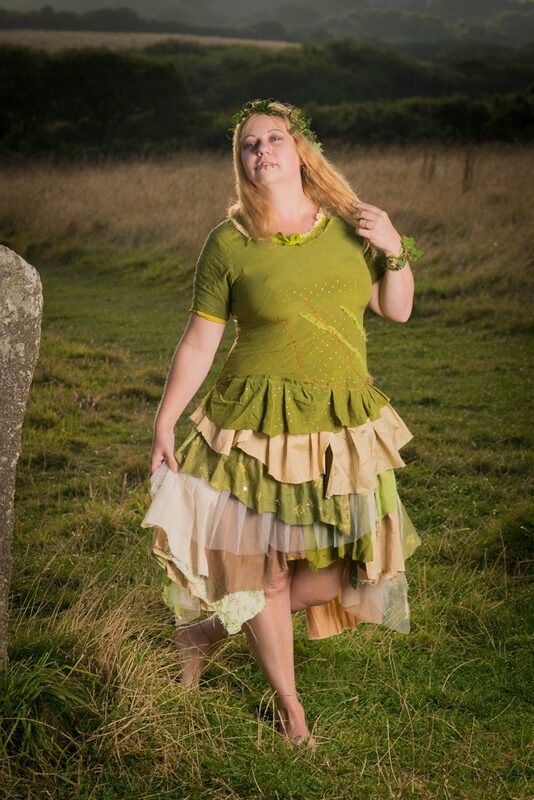 Perfect for a handmade fairytale woodland wedding dress or if you’re off to a fairy ball and need a luxury fairy costume. shape. And then hand-sewed on a few beads and a vintage pearl at the neckline. 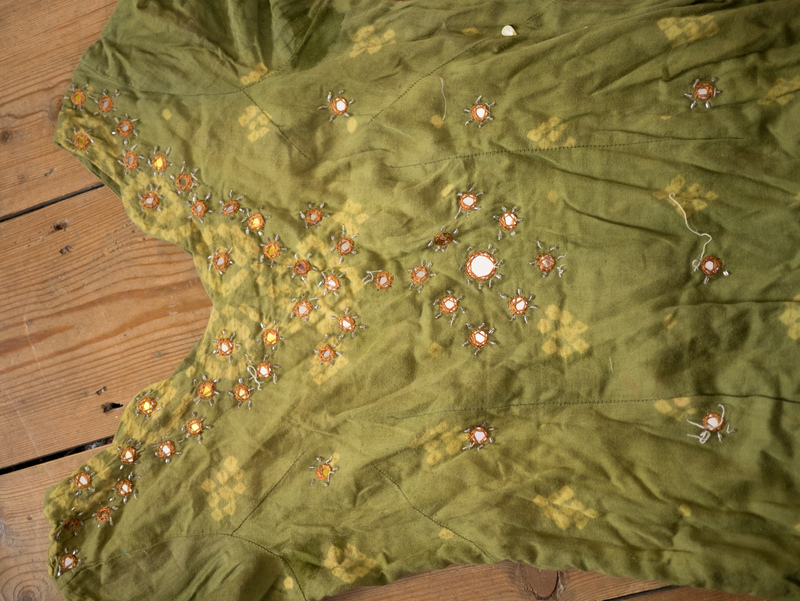 The dress took eleven hours to make altogether. 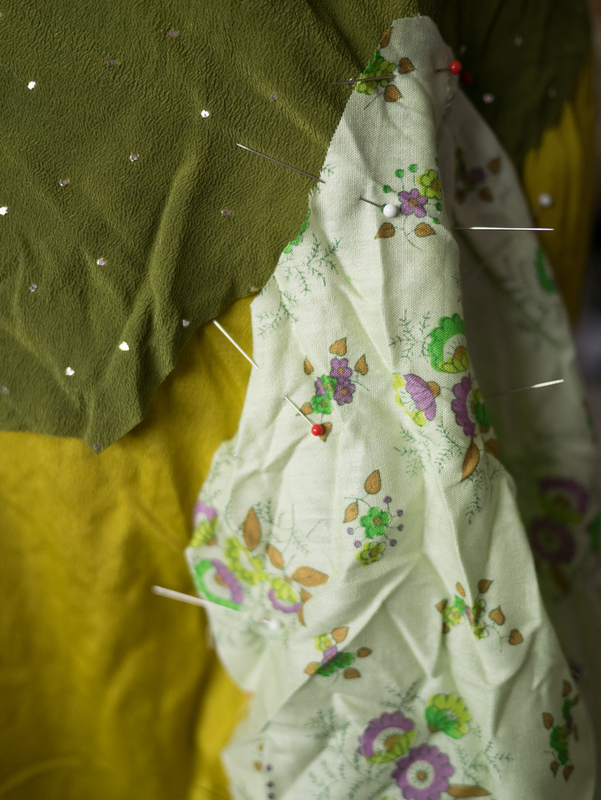 I always think it’s going to be quicker nearer the beginning, but I forget actually how long it takes to pin all the gathers in place and get it looking just right! 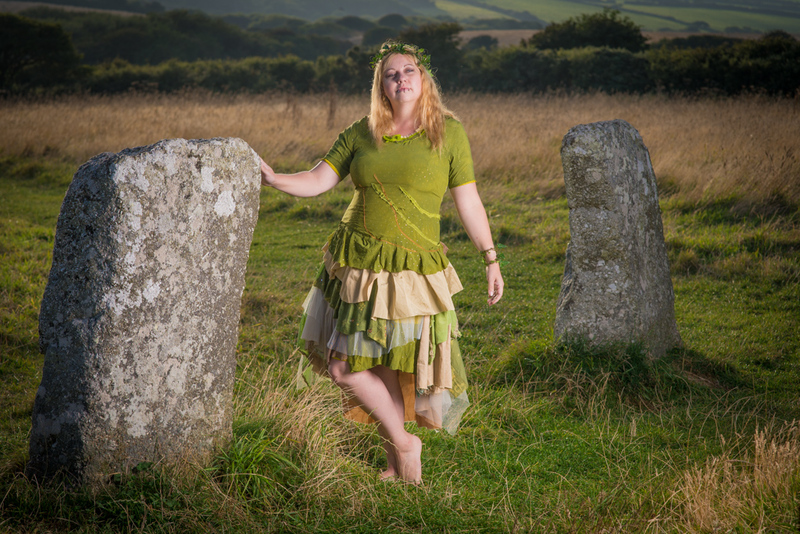 We did the photo-shoot at Merry Maidens stone circle in Cornwall as that seemed like a very fitting location for a dress perfect for a woodland wedding or handfasting. 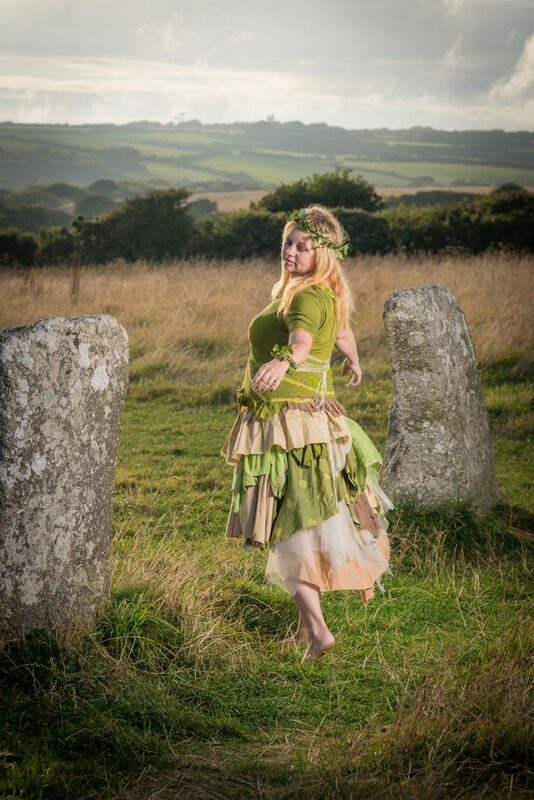 I found some ivy nearby and made a quick headdress and bracelet with it for some of the photos. 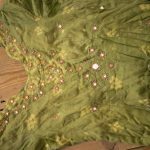 The dress is for sale in my Threads of a Fairytale Etsy shop, so head over there if you’re interested in purchasing it. 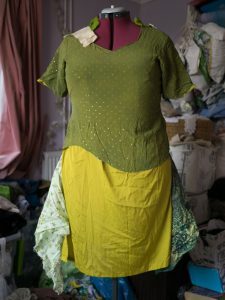 If you’re thinking about making something similar for yourself, I hope this post has been useful and please comment below to tell me how you get on and if you’re planning on wearing it to a special occasion. 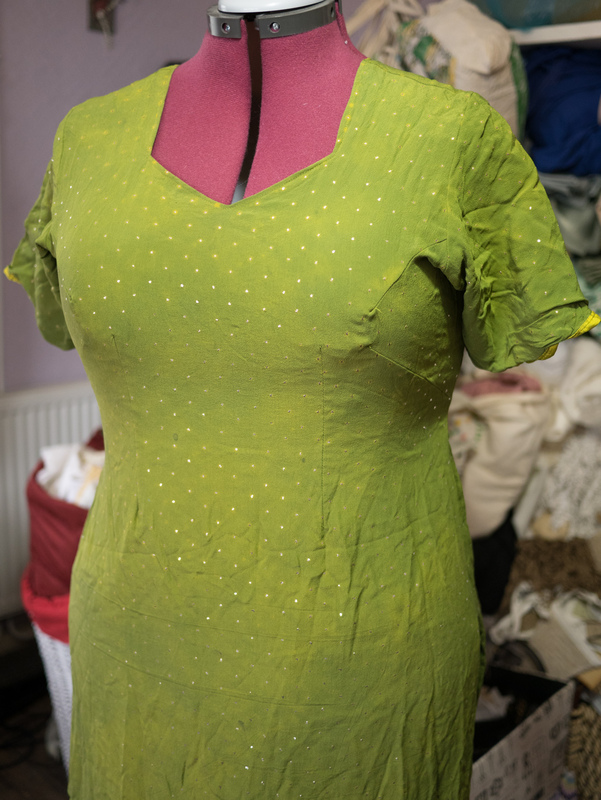 I also recorded a video showing how I created the dress, and if you like watching sewing videos like this, then please subscribe to my YouTube channel as I regularly share my process of making dresses from start to finish. When I was little and often went to Cornwall in the Easter holidays, I would always look forward to going to a particular shop in Padstow that sold crystals and semi-precious stones (now a bag and shoe shop) and I still have the three that I bought with my pocket money! I can completely understand why Catherine Wilson of Blackbird Beauties describes herself as “crystal nuts”. 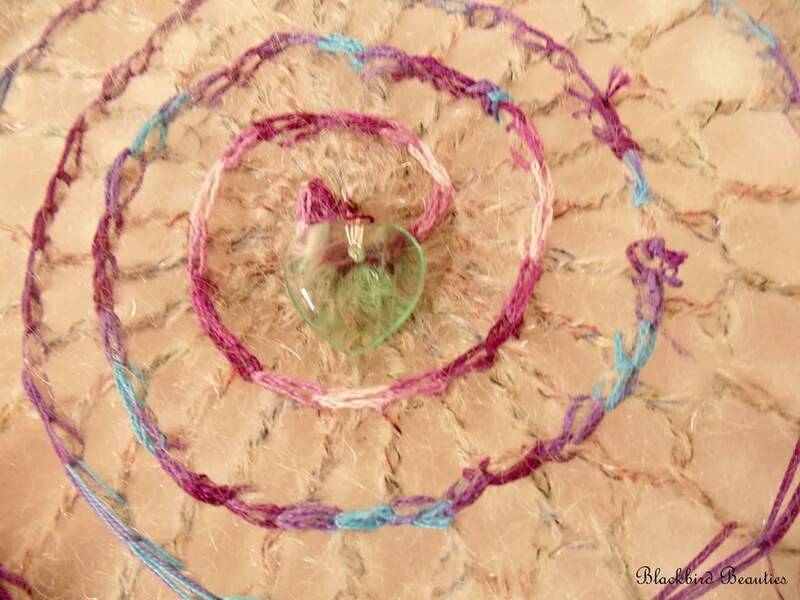 I asked her more about this, her handcrafted items and how her business came about…. Hello folks! Hope you’re having a lovely weekend. I’m starting a new regular thingumajig on here, which, as you can see, I’m calling ‘Weekly Wardrobe.’ In view of style and fashion being a frequent theme to my posts, I thought Why not share what I’m wearing? 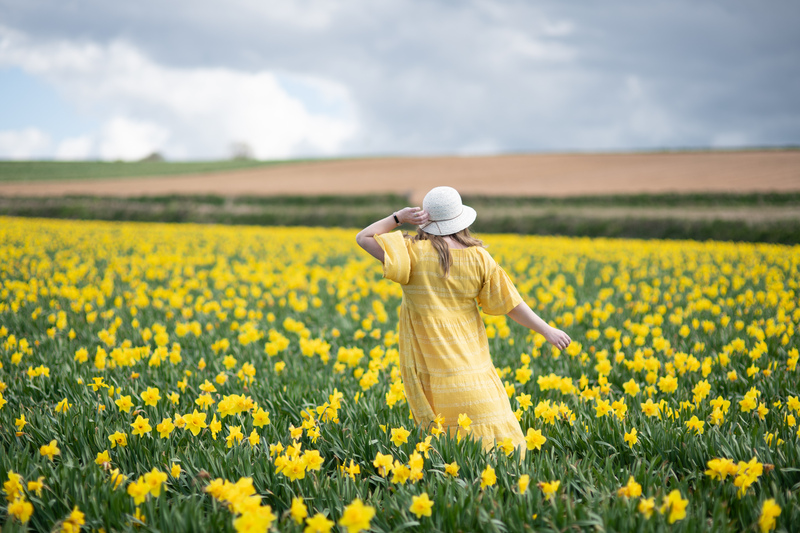 I was unsure at first, feeling it’s a little, well, self-important of me to think people will be interested, but let’s face it, in this day in age when tonnes of people are sharing their outfits on the internet, I think I’d like to join in! My fashion taste is a little random; sometimes hippy, ’50s, steampunk or lagenlook, but I like to think a little bit quirky. I’m a hoarder and rarely buy items brand new, so I’m afraid I’m not much good for ideas for you to exactly copy, but maybe offer style inspiration. 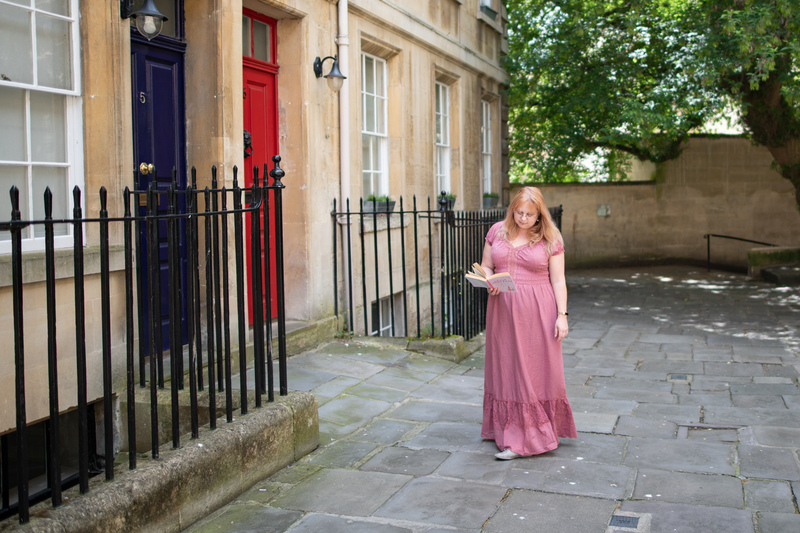 I’m also going to be linking up with the fabulous Catherine Summers at NotDressedAsLamb and following her weekly themes for #iwillwearwhatIlike in rallying against the list some questionable journalist thinks people over thirty should stop wearing…. Cultural Appropriation in Fashion. Should it really matter?